Becoming fit and healthy is a very difficult process if you don’t have a proper guide with you at all times. In one of our previous posts we have covered some of the healthy foods that you can cook by following the recipe guide apps that are available from the Play Store. But eating healthy food isn’t the only way with which you can be fit because along with healthy diet you must incorporate a regime of exercise that will help you to burn the excess fat and help you to get a lean thin figure. 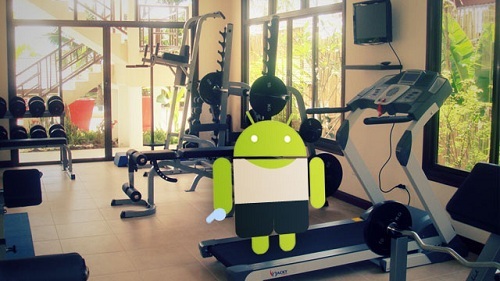 So in this post we have covered some of the android apps that will help you to get in shape. Read on to find out more about them. If you have a busy schedule and are unable to go to gym on a regular but you do get enough time to perform the necessary exercises at home then workout trainer is the perfect training coach app for you. It will guide you through different kind of workouts that you can do at home. The app also features video and voice guide that will help you out. You can also design custom workout that matches your routine. The app also comes with a widget that will update you on any new exercise that becomes available. Try this app out for free from the Play store. Everybody looks for an easy way to lose the excess fat and gain a new toned body. But the sad reality that we all have to face is that it is easy to gain weight than losing it. So this app will help you to keep a track of the calorie you are consuming. This app will give you the calorie of thousands different kinds of food. In addition you also get different nutritional importance of various foods that you can consume to get a perfect metabolism in your body and maintain a balanced diet. You can also try out some of the exercise that the app recommends so that you can maintain a nice body. Losing weight by following a strict diet plan with a exercise regime isn’t an easy job that everyone thinks. That’s because you need to maintain the perfect balance between the calorie you intake along with the exercise you perform. 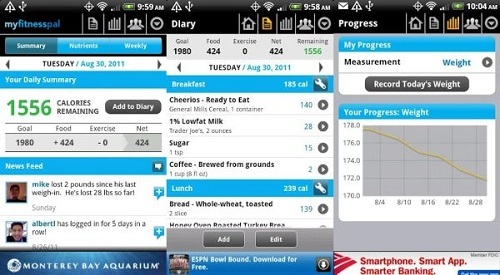 As the name suggests this app offers you in depth information on various ways of losing weight. This app is regularly updated with different kinds of articles from various experts who give you expert advice on how to lose weight in an effective manner. You can also post questions which are answered so that you get the perfect regime going for you. This app will provide you with different workouts that if you perform daily for 5min will allow you to get a toned solid abs. Although getting a solid 6pack abs is very difficult but at least with the help of this app you can get started in the right direction. The app provides you with 5-10min daily exercise with demonstration. You can purchase the app for just $0.99 which will provide you with different varieties of abs exercise that you can mix up and do daily for 5-10min easily at home. Do give this app a try. 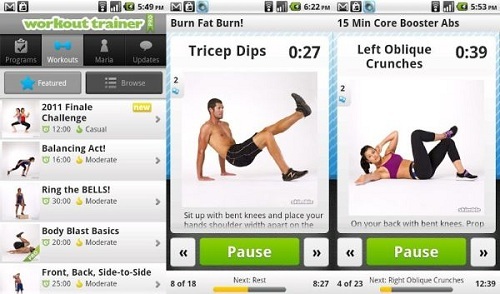 There you have some of the apps that will help you to get in shape and help you lose the extra fat. 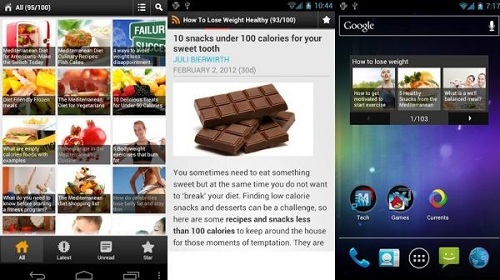 Do let us know which app you prefer and if there are any other apps that will help you to get in shape.